UC Berkeley alumnus and former San Francisco Chronicle agriculture reporter Henry Schacht died due to old age March 30 in his home in Oakland at the age of 95. Though raised in Aspinwall, Iowa where his family owned a lumber mill and grew corn, Henry Schacht spent the majority of his life in the Bay Area, covering California agricultural issues like Cesar Chavez and migrant worker unions. Beyond his work as a journalist and radio broadcaster, Henry Schacht is remembered by family and friends as a loving grandfather and passionate Cal sports fan. Henry Schacht moved to the Bay Area after his sister was accepted to UC Berkeley in the 1930s. After being accepted himself, he became a sports writer for The Daily Californian and later became editor in chief his senior year. In 2009, he was named The Daily Californian's Alumnus of the Year. Henry Schacht met his wife of 67 years, Mary, while working at campus humor magazine, The Pelican. The couple celebrated their honeymoon at the 1938 Rose Bowl, where Cal beat the University of Alabama for its last Rose Bowl victory to date. Upon graduating from UC Berkeley in 1936, Henry Schacht was asked by the campus to edit a study on agriculture. His work impressed them enough to offer him a broadcast series on agriculture, sparking the beginning of a career covering California farming. 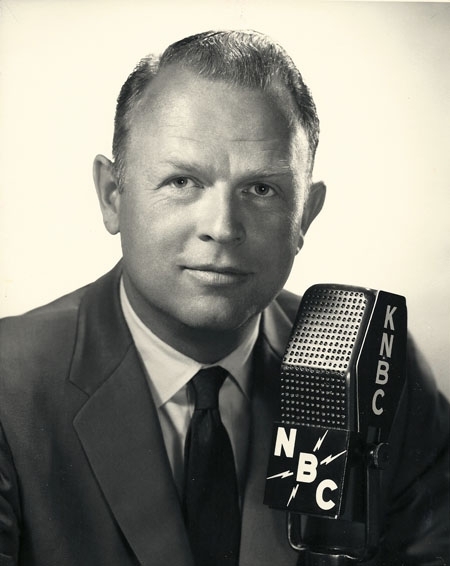 The local NBC affiliate later gave him his own agriculture radio program. Henry Schacht's son Henry John Schacht remembers waking up to his father's voice on the radio. His father's radio program, Farmer's Digest, was the first broadcast each morning. Schacht was offered a column in the San Francisco Chronicle in the 1950s, which he continued writing until 1981. His columns covered issues faced by state farmers and cattleherders, aiming to make the information relevant to urban readers. "He once estimated that he had written 2,000 columns for the Chronicle and done 5,000 radio broadcasts," said his daughter Linda Schacht, a lecturer at the UC Berkeley Graduate School of Journalism. "He had great respect for people who worked in agriculture all over the country." Linda Schacht sits on The Daily Californian's board of directors, which has no control over editorial content. Henry Schacht also received many awards for his work, wrote for other publications, was a U.N. agriculture consultant and authored two books. "He made friends and was easy to work for, which made it easy for him to gather sources," said Henry Schacht's friend and collegue Len Richardson, current editor for the California Farmer. "He did a lot to improve the understanding between urban folks and farm folks. He saw a lot of opportunity for things to talk about that other people hadn't seen." Legendary 1954 All-American Cal football quarterback Paul Larson was a lifelong friend of Henry Schacht. The two met when Larson was a freshman, and Larson said he recalls his friend's dedication to Cal sports teams - particularly football and basketball. Up until 2009, when he became too frail to climb the steps of Memorial Stadium, Henry Schacht would attend the Big Game every year. "He dearly loved the university," Larson said. "Sometimes I even wished I would have settled closer to Berkeley to go to sports events with Henry." Henry Schacht is survived by his son, daughter and grandchildren Kate and Peter Gage. His family is requesting that any donations made in his honor be given to the Berkeley Public Library Foundation, or to The Daily Californian.